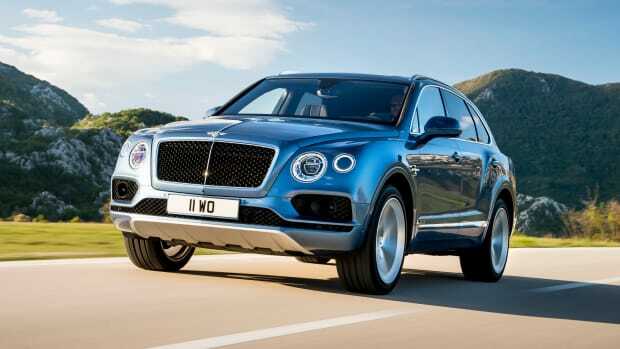 75,000 square feet of British-engineered luxury. 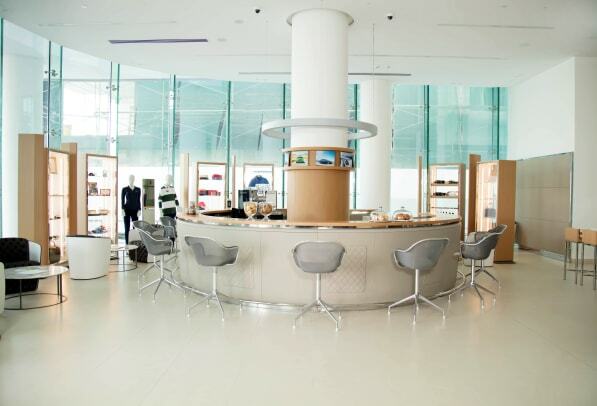 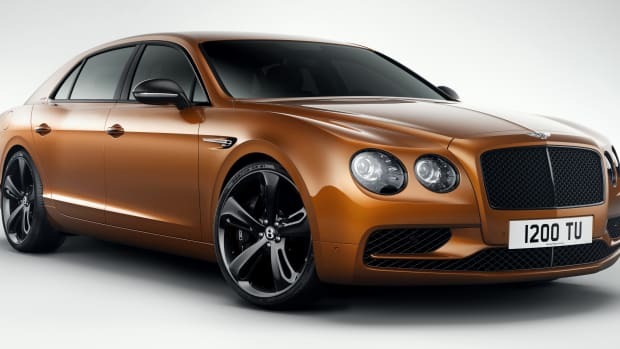 Bentley enthusiasts in the United Arab Emirates will have a very special place to shop for their new Mulsannes, Flying Spurs, Bentaygas, and Continentals. 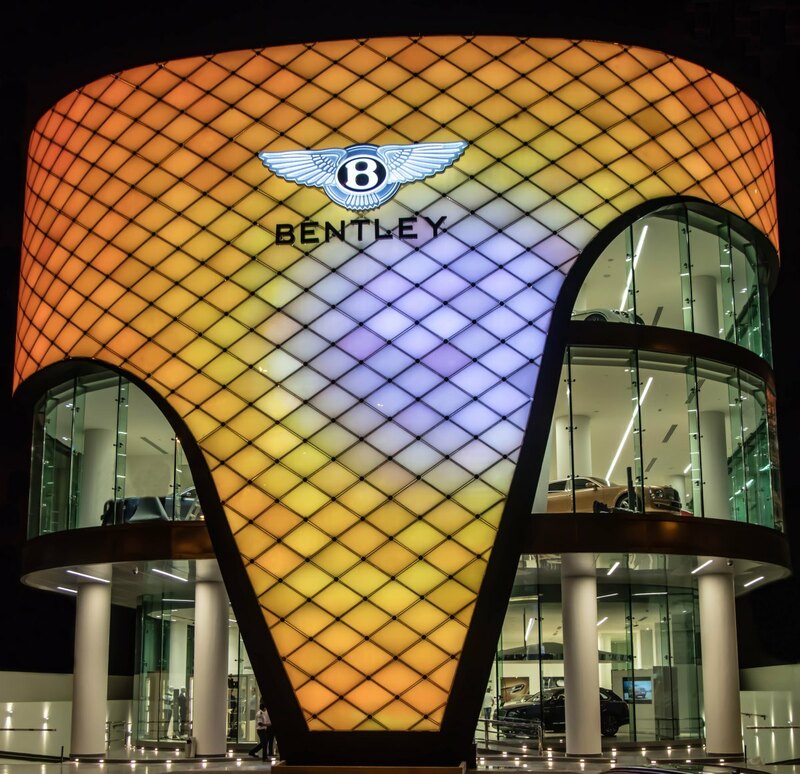 The massive Bentley showroom welcomes you with a dynamically illuminated façade that is made up of 160,000 LEDs that broadcasts Bentley videos and also runs through a rainbow of the company&apos;s standard colors as well their wooden veneers. 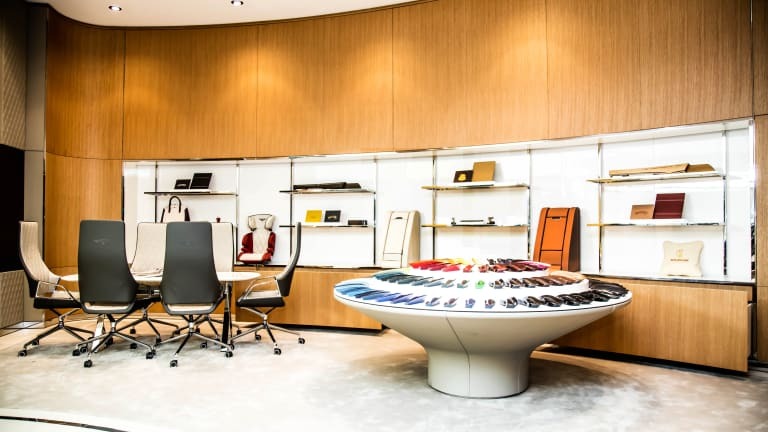 Inside the facility is a total of six floors that are primarily dedicated to the customization process that include everything from rooms for checking out the over 100 paint colors available and they even have an Aqua Graphic Water Curtain that will do things like project a welcome message to customers and has number plate recognition technology. 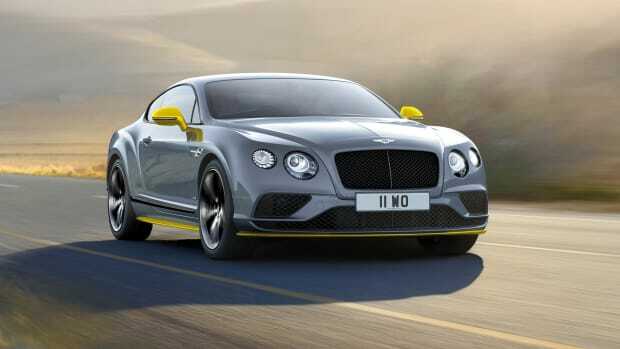 The new Flying Spur joins the 200 mph club.